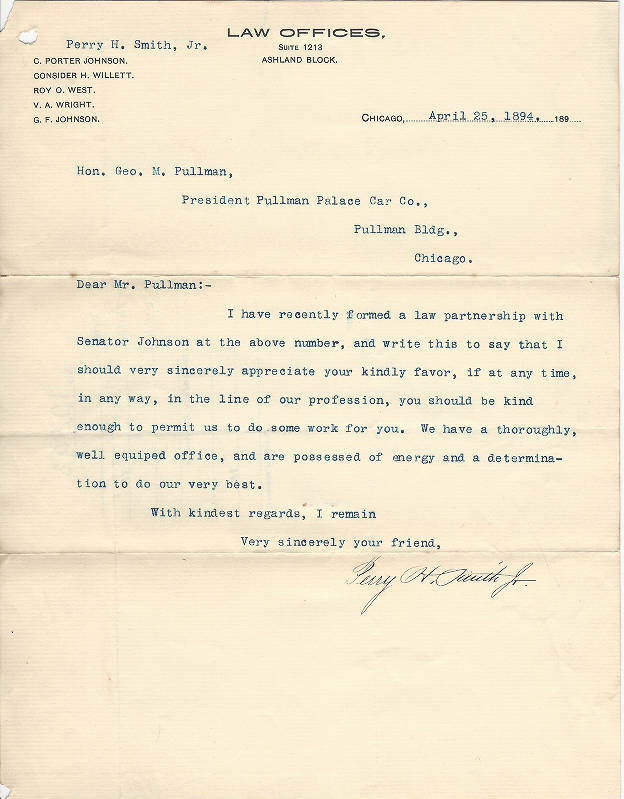 Letter from the Law Office of Perry H. Smith, Jr. offering his services to Geoge M. Pullman. 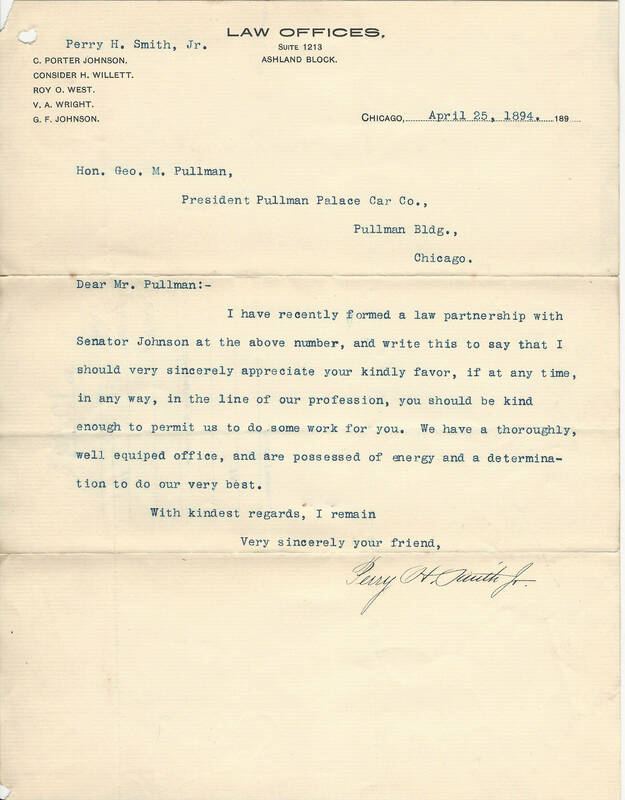 Description Letter from the Law Office of Perry H. Smith, Jr. offering his services to Geoge M. Pullman. Creator Perry H. Smith, Jr.